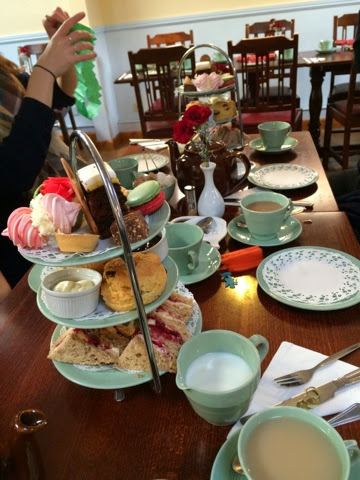 For my partner's birthday this weekend her family took her out for cream tea - and I tagged along too. 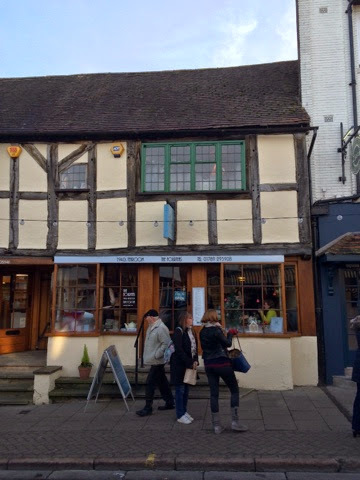 The venue was Fourteas in Stratford Upon Avon, and it's housed in one of the city's lovely timber framed buildings. It's quite an unassuming place - indeed we walked past the first time while looking for it - but once inside the theme and ambience is unmistakable. 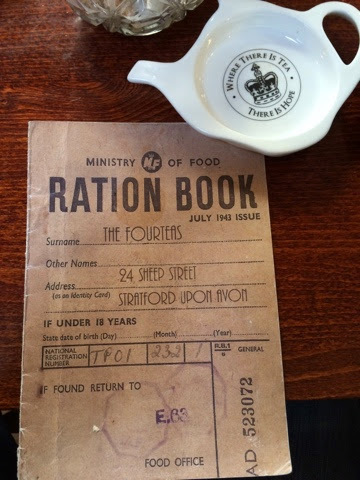 The idea is that it's got a 1940's theme - down to the ration book menus. The staff are also in period costume and the thinking behind it all is explained elegantly in the menu. A gimmick is all well and good, but do they care about the food and drink too? Happily the answer is a resounding yes - they even blend their own tea (so I had a pot). 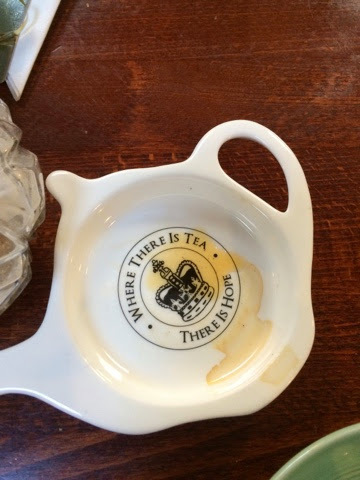 I brewed it for the recommended time and found it quite a light tea and very thirst quenching. I wouldn't hesitate to choose this should I visit again. 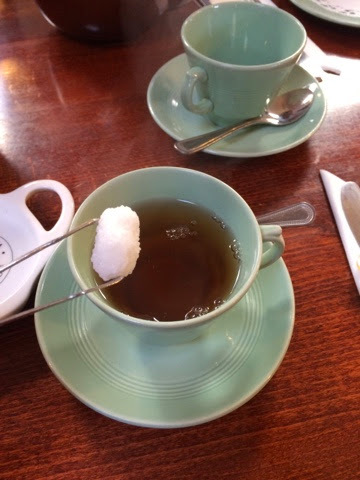 I did have a sugar - mainly because they were lumps, but for subsequent cups I resisted. 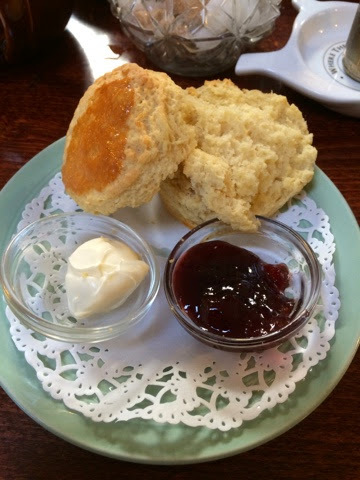 While there were a staggering array of cakes and sandwiches all freshly made on the premises I had spotted warm, plain scones with cream. As this is pretty much my favourite thing ever I had to go for it. So I got the above and the tea for £5. Result. The scone was warm as requested, and crispy on the outside. It crumbled well into two and the jam was really sticky and fruity and the cream and it all came together really well. The only scones I've had that have been better than this are the family home made ones I was raised on. I'd travel to Stratford just to have these again. I was very tempted to have another, but the people I was with needed my assistance. 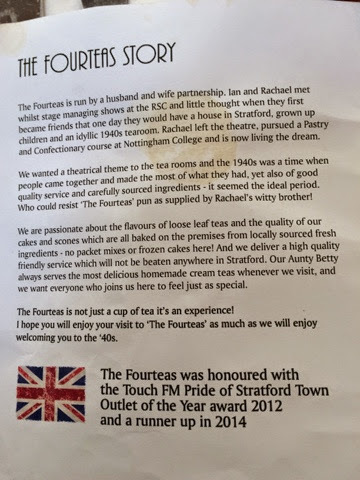 They had chosen to go for the full cream tea experience with sandwiches and cakes as well as scones (fruit - presumably chosen so I didn't grab them). Naturally towards the end they were struggling so I had to try some nice macarons and a little lemon tartlet. I also got to try a chocolate tiffin square that was nice too. 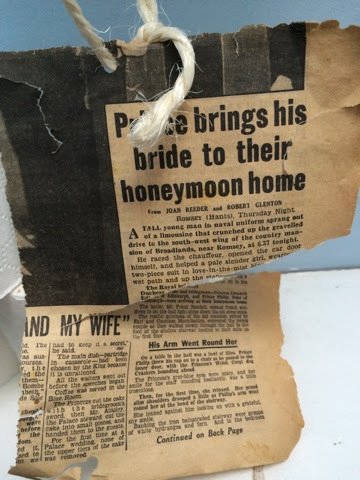 They enjoyed their sandwiches too and it was 'very good brie'. I think the overall experience was a fab one. The place is so popular with locals and tourists that it's worth booking ahead as people were getting turned away. Making a tea room that is both memorable and super tasty is a great idea. In this time of austerity and recession we need a little reminder that people have had it a lot worse and that things will indeed improve. At £12.50 for the full experience or £5 for my smaller scone based indulgence it's very good value. 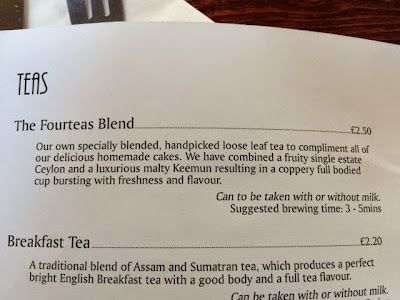 The menu was also surprisingly deep with there being a good few pages of teas and the cake selection being seasonally home made. This is the kind of place that you can revisit quite happily, and im sure I will!